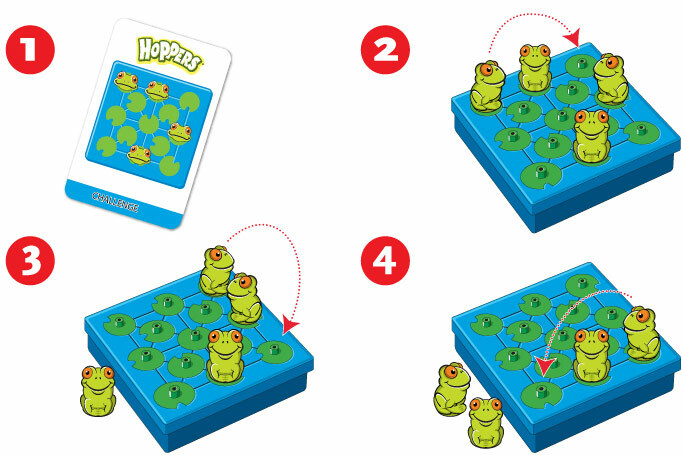 Hoppers is a peg solitaire jumping game – set the frogs on the pond, then jump frogs until only one is left standing. Forty challenge cards range from easy to super hard. Start simple and grow your skills with each level. In no time at all, you’ll be the smartest frog in the pond!